That’s supposed to be sarcastic coz I’ve been so lazy to blog, but I pushed myself today to open the laptop and just write whatever I feel like writing. This post may not be in good quality, I warn you, but at least I write something. I even had one dream about my blog when somebody screaming to my face “you’re a bad writer! your blog is rubbish!” and I woke up feeling really really sad. Yeah I mean I know I’m not a published writer or anything, but I always thought I’m a decent writer laaahh. This is the only thing I love constantly throughout my life. No matter which boyband I was obsessed with, which Final Fantasy game I was playing, which hobby I was into, I’ve always loved writing. So when I had that dream, it was like a wake up call. Going back to writing, May! You don’t have to write a comprehensive feminist article (which is my favorite kind of writings of all btw), at least just post something! So anywaaaay….. here I am. One: You’re scared about something. Your subconscious is afraid of some commitment. Two: You’re healing from a fear. Well… Guess what happened last night? Bandi and I argued about kids. He didn’t want kids right here right now but at least he wanted to know if I ever wanted to go somewhere. Sigh… I don’t want to talk more about this on my blog, it could go on and on and on for 10 pages of my excuses of why I’m not ready and trust me it’s annoying. 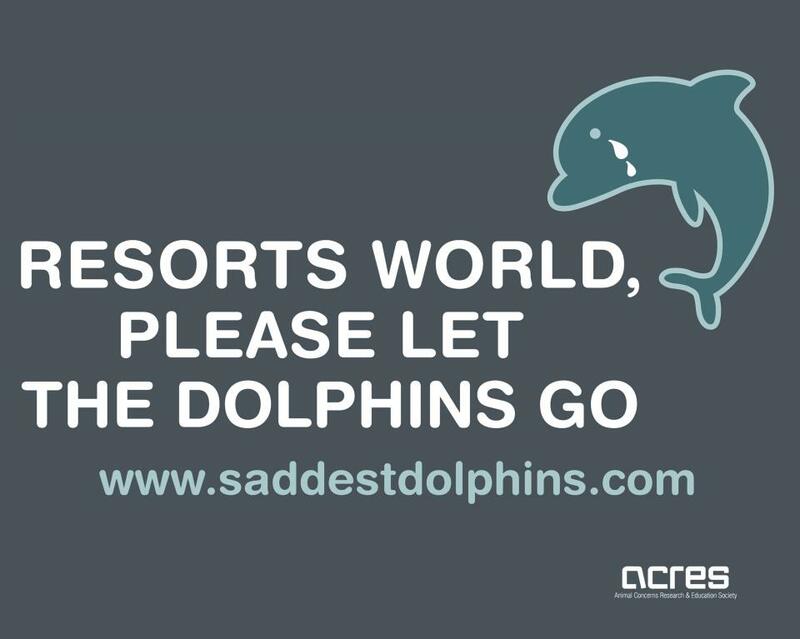 Anyhow… let’s switch topic to…. nano block! I’m currently loving nano blocks! I first bought one Tokyo Tower nano block from Japan for my friend as a gift. 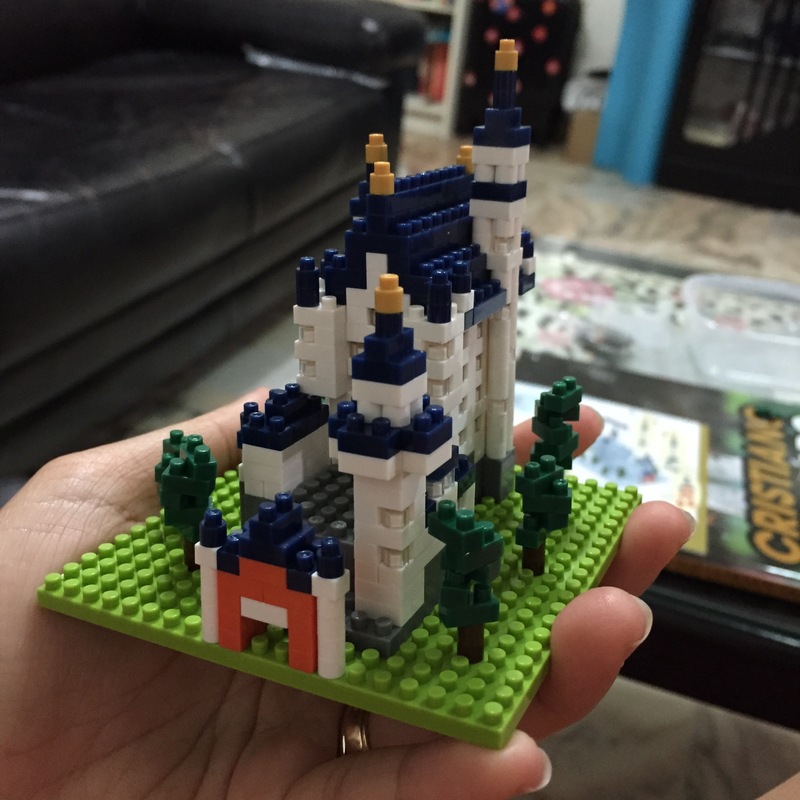 He asked me to build it for him and I became addicted! They have other designs beside buildings. 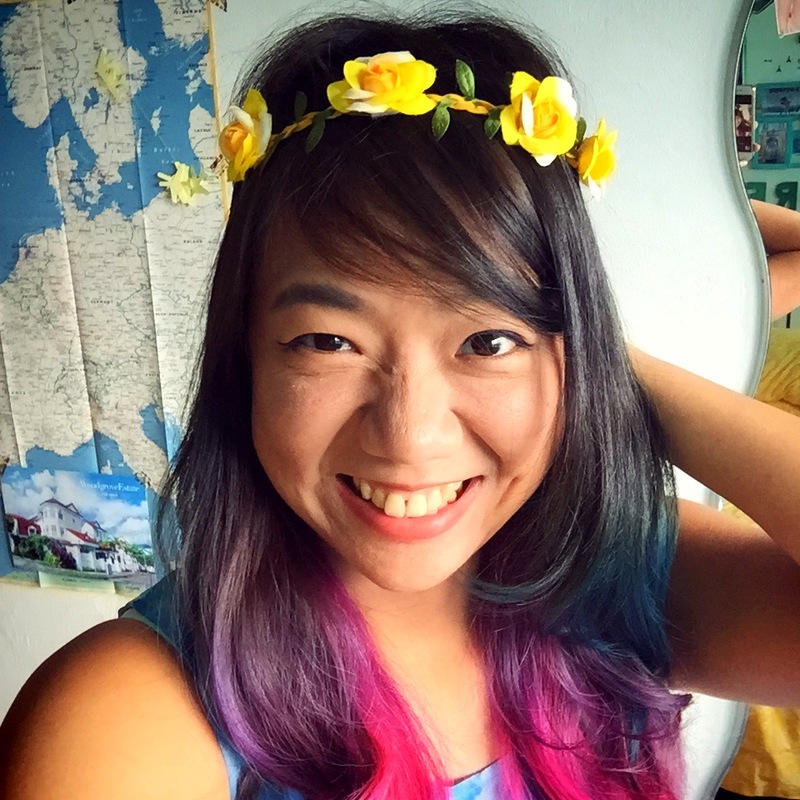 Since Singapore had a very long SG50 weekend I had free time to do my hair! I think I accidentally dyed the pink color permanently to my hair. I don’t know why but the pink color never fades even just a little bit! 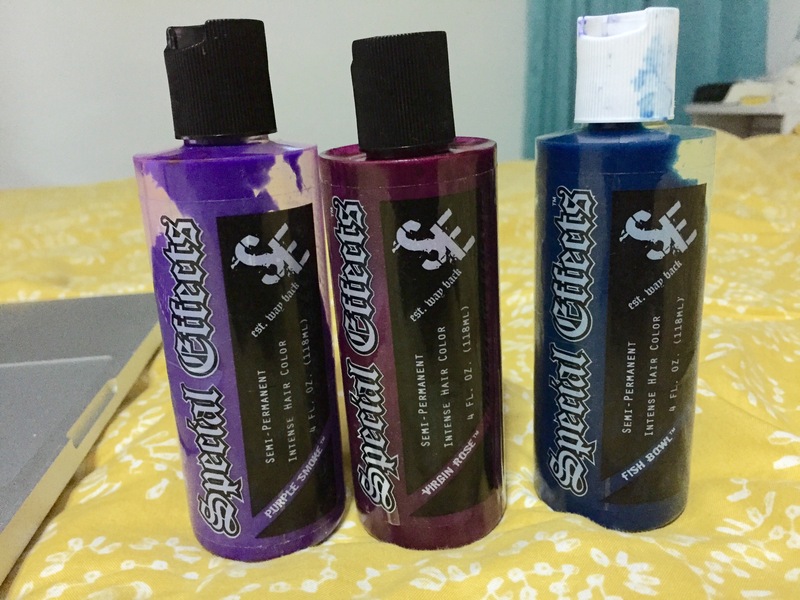 So I had an idea to add purple and blue to make it as a simple rainbow blue>>purple>>pink. Bought the flower headband in Japan for $3!!! a steal! For this look, I use Special effects semi-permanent dye. You can buy them online! I did! Just take one very important note: The color won’t appear if you don’t bleach your hair. So take the risk. :) It’s worth it. Korean fried chicken!!! Not an ordinary korean Fried Chicken, this one called Chir-Chir! It’s located at B3 somerset 313. I heard they open at East side too but never been there. Maybe because it was SG50 holiday so a lot of people were out of Singapore so Singapore was pretty empty in some places, so we went in and…. OH MY GOODNESS, Best fried chicken ever!!!! It made Chicken-Up takes like a joke, seriously! 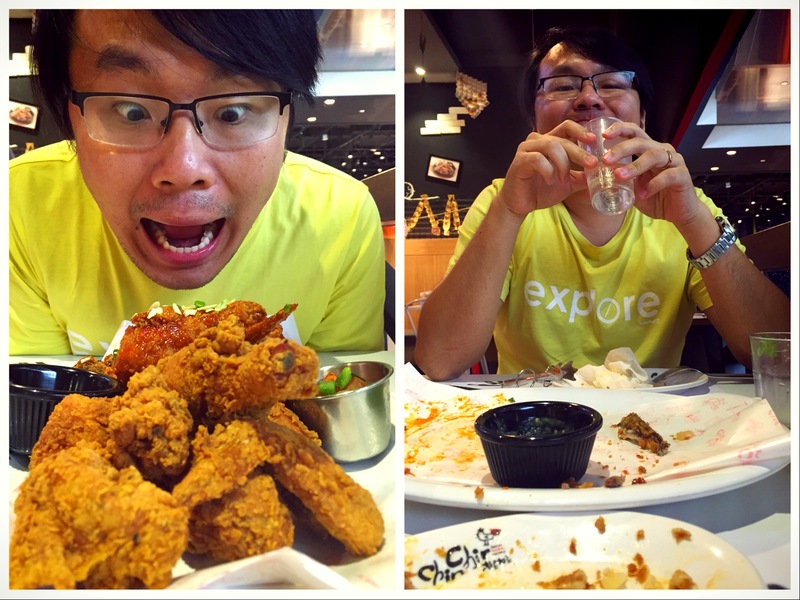 And you know what, Bandi and I went back again on Monday to close our SG50 holiday with more fried chicken! Ahhhh! Guilty! What about clean eat, you say? Well……. This entry was posted in Life in Singapore and tagged best korean fried chicken, bitten by snake in dream, bleach, burple, chir chir, chir chir singapore, chir chir somerset 313, dream about snake, dream interpretation, fish bowl, hair color, japan, kawada, korean fried chicken singapore, nanoblock, nightmare, purple smoke, rainbow hair, sg50 holiday, special effects, virgin rose. Bookmark the permalink. kalo di Jakarta mungkin lo uda dikira anak alay may gara2 rambut lo hahahahahahhaa. Of course the question of having children is none of my/our business either of course),but as for the other two topics: more, more, more please :). Gue jg demen Nanoblock! 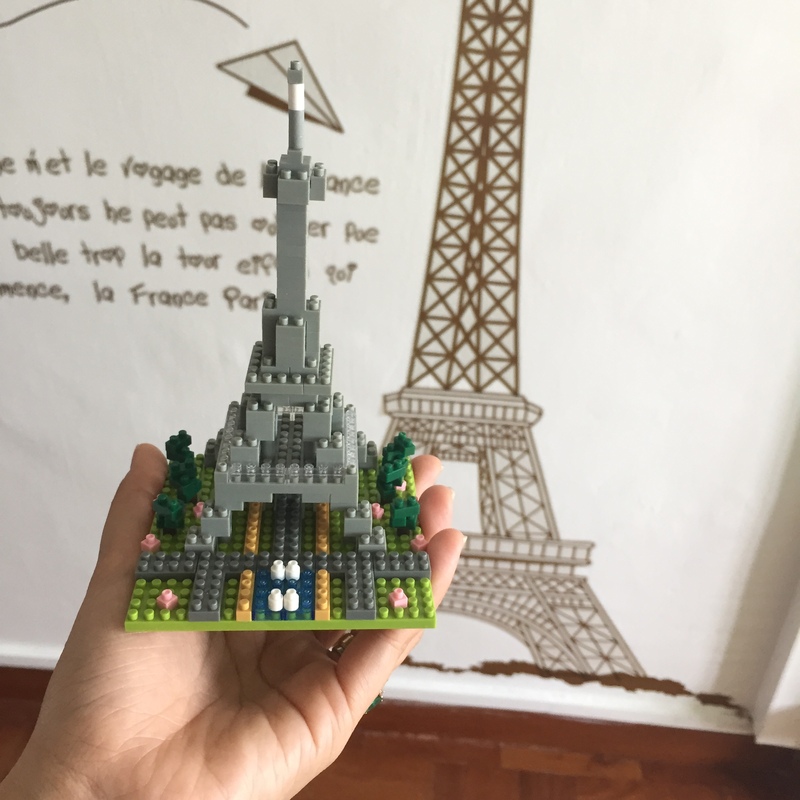 Btw, itu yang Melissa bilang, Nanoblock yang dia maksud itu yang KW deh kalau gak salah mereknya Loz, soalnya yang asli mah mahal kok. I tried once, lockingnya kalah sama Nanoblock asli. Tp serius designnya lebih lucu2 (banyak tokoh, entah licensenya dr mana hahahah). 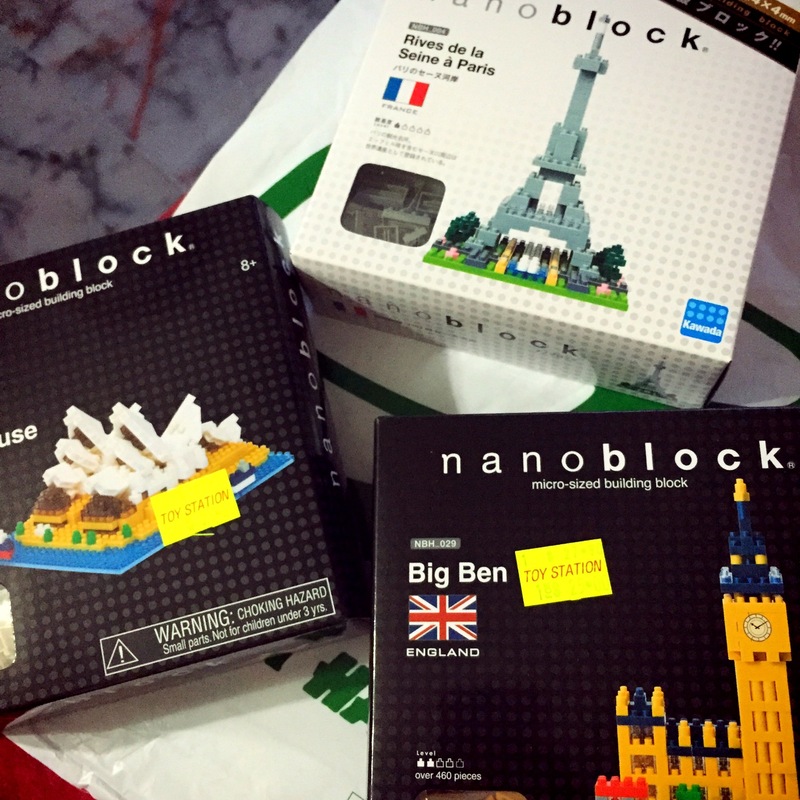 Suami gue kemarin balik dari Taipei beli Nanoblock yang Taipei 101 special edition yg gede gitu. Kalau di sono jatuhnya sekitar IDR 500 ribuan. Tapi mayan gede, dan bikin tangan gue cekot2 nyusunnya. 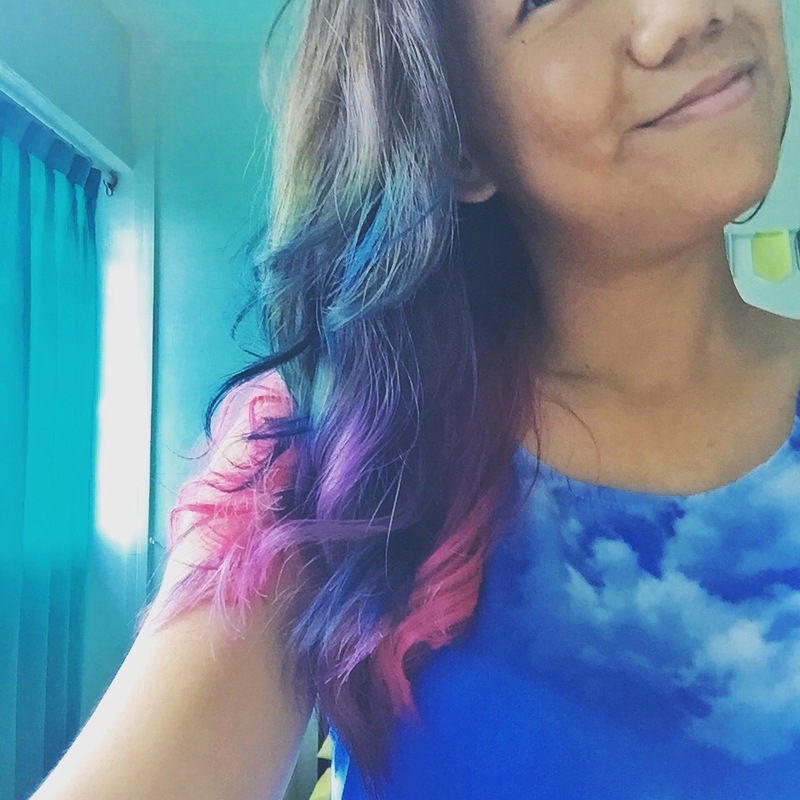 Gile warna rambutlu keren, apalagi pas pake baju corak langit, jadi kayak rainbowwww…. Damn, that fried chicken really looks delicious! 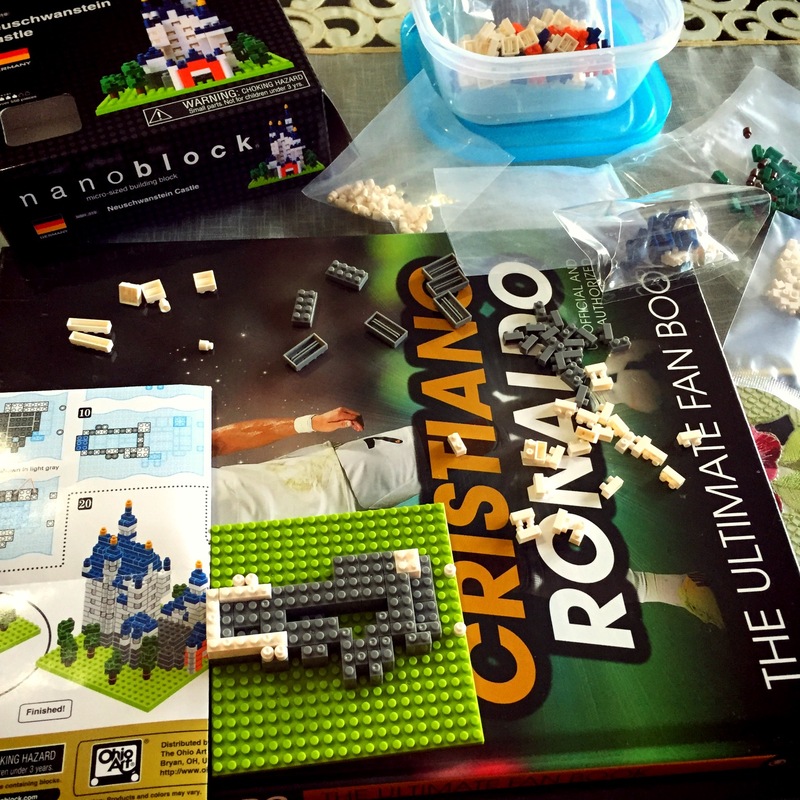 Nanoblock…is that similar to Lego?